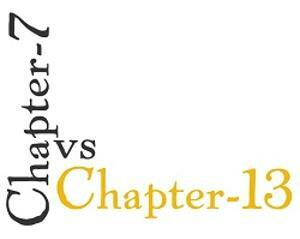 Switching From Chapter 13 to Chapter 7: Can You Change Your Mind about a Bankruptcy Chapter? A common problem for many people who have filed for Chapter 13 bankruptcy protection is the repayment plan. A lot can happen to your financial situation during the three to five years that it takes to complete the Chapter 13 process. Unexpected medical emergencies, the loss of a job or even the loss of a spouse are just a few of the little curves that life may throw, making the repayment plan of a Chapter 13 bankruptcy almost impossible to complete. The question is: Can you switch from a Chapter 13 to a Chapter 7 in this situation? Fortunately, under current North Carolina bankruptcy laws, you are normally allowed to convert from a Chapter 13 to a Chapter 7 at any time. It is actually the most common of all conversions. In truth, only about one-third of all people filing for Chapter 13 bankruptcy are able to complete the entire three to five years required for a repayment plan. Sometimes this is due to unforeseen financial circumstances. If your back is up against a financial wall, a conversion may be one of your only options. Keep in mind, if you have filed for Chapter 13 bankruptcy protection, you have the right to dismiss your case at any time. However, it’s important to remember that once you dismiss your case, the automatic stay is lifted. That means your creditors are once again free to start collection activity or pursue foreclosure. What Do You Need for a Conversion? Once you’ve decided to convert from Chapter 13 to Chatper 7, there are some technical requirements that you must meet. First, you will need to file a Notice of Conversion form with the bankruptcy court. It will also require a $25 fee. Once filed, the conversion usually takes place in just a few days. When all goes smoothly, you won’t lose the protection of your automatic stay. The one technicality that you may run into is the required means test that must be passed for the conversion to become final. You may have originally chosen Chapter 13 bankruptcy due to the fact that you made too much money to qualify for a Chapter 7. Keep in mind that the income limitations will still remain in effect for a conversion. The means test was implemented as a way to make sure that debtors with enough disposable income ultimately paid some money back to their creditors. If you have experienced a job change or loss since filing for your Chapter 13 bankruptcy, you will likely be able to pass the means test. If, however, you still make too much money to qualify for the income limits of a Chapter 7, your conversion will be denied. 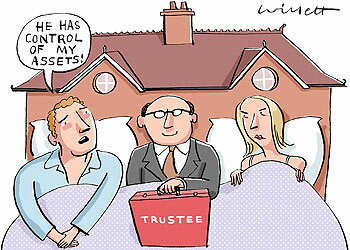 Once your conversion from Chapter 13 to Chapter 7 is accepted, any money you have paid the trustee that has not been divided among creditors will be returned to you. The Chapter 13 repayment plan is canceled. You’ll be appointed a new trustee and a new creditor’s meeting. Your North Carolina bankruptcy attorney will assist with filing a new statement of assets, liabilities, income and expenses. From that point, your case will resume like a normal Chapter 7 bankruptcy filing. If you are currently struggling to meet the requirements of your Chapter 13 repayment plan, a Chapter 7 bankruptcy may better suit your financial situation. In order to understand the process and your rights under North Carolina bankruptcy laws, you’ll need to speak with an experienced North Carolina bankruptcy attorney. Remember; you have options!